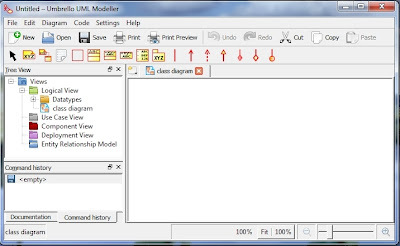 Umbrello UML Modeller is a free software UML diagram tool available natively for Unix-like platforms, as well as Microsoft Windows (as part of KDE-Windows). It is part of the KDE SC 4 but works well with other desktops and programming environments. Umbrello is a pretty simple UML editor though it does support a range of different views and diagrams. It makes it as easy as possible to draw a simple diagram, then lets you alter and add to it as your design is refined. Everything seems to work fine under Linux with the exception of exporting to an image. 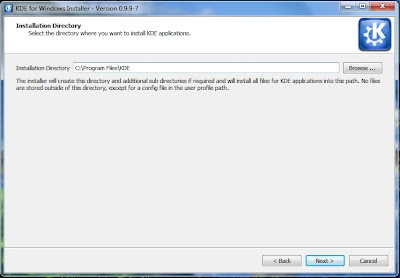 KDE For Windows is an ongoing project to port the KDE applications to MS Windows. 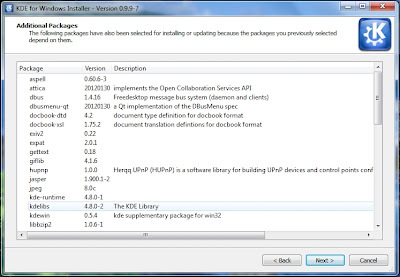 Currently supported versions of Windows are XP, Vista and 7. 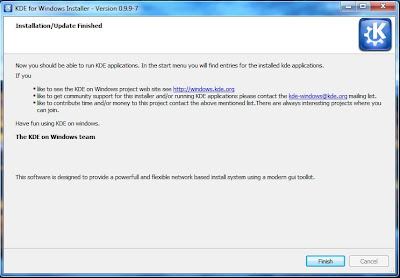 Choose “Install From Internet” for type operation, and then click the “Next >” button at the bottom of the screen. On the window “Installation Directory”, click the “Browse …” button to change default directory, and then click the “Next >” button. and then click the “Next >” button. On the window “Local Storage Setting”, click the “Browse …” button to change default directory, and then click the “Next >” button. On the window “Internet Setting”, click the radio button “I have a direct connection to the internet”, and then click the “Next >” button. 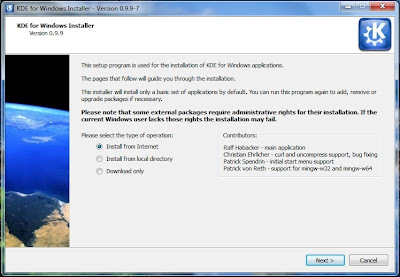 In the window “Download Server Setting”, Choose “Central Europe, Germany (http://www.winkde.org)” to install the application,and then click the “Next” button. The next step wait for download Release. 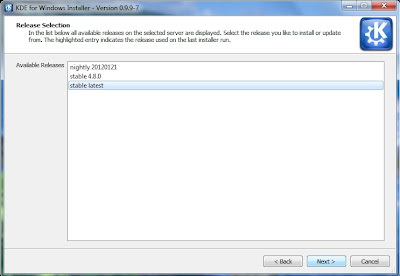 The next step, On the window “Release Selection”, choose Stable Release for Available Release, an then click the “Next >” button. The next step wait for download Package List. 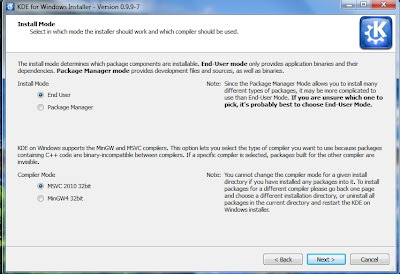 In the window “Package Selection”, choose “Umbrello” to install the application, and then click the “Next >” button. 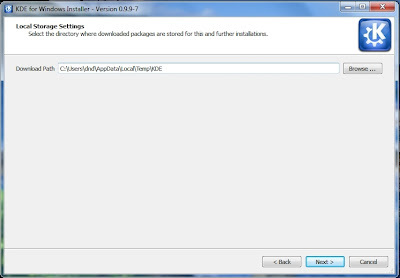 The next step, you will get a confirmation on the package will be downloaded, click the “Next >” button to download and install packages. The next step wait for download Packages and the finished installation. 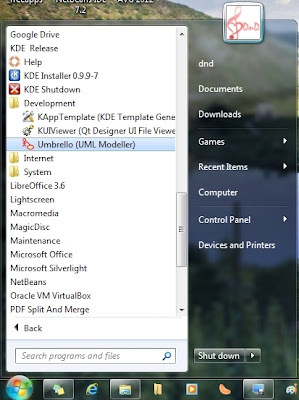 To open Umbrello, Go to Start Menu à All Programs à KDE Release à Development à Umbrello (UML Modeller).